Dr. Sean Keyes is an experienced orthopedic surgeon with advanced training in pediatric orthopedic surgery and sports medicine from Cincinnati Children’s Medical Center. 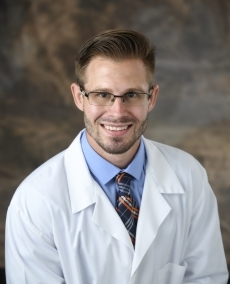 Dr. Keyes received his medical degree from Lincoln Memorial University – DeBusk College of Osteopathic Medicine and went on to complete his orthopedic surgery residency at Summa Western Reserve Hospital in Ohio. A dedicated sports medicine physician, Dr. Keyes has provided medical team coverage in conjunction with Florida Citrus Sports for college bowl games such as the Camping World Bowl and Florida Classic, and has also served as a physician for runDisney events. He is involved in the treatment of athletes on various levels but specializes in helping pediatric and adolescent athletes. He is aware of the increasingly competitive nature and pressures on growing kids and is a resource for injury and re-injury prevention methods. His passion for sports medicine extends beyond his practice into our community. Dr. Keyes has provided medical team coverage in conjunction with Florida Citrus Sports for college bowl games such as the Camping World Bowl, the Florida Classic and runDisney events. Dr. Keyes also serves as a co-team physician for our local Edgewater High School. Dr. Keyes is involved in the treatment of athletes on various levels but specializes in the pediatric and adolescent athlete. He is aware of the of the increasingly competitive nature and pressures our growing kids are under and remains on the cutting edge for surgical techniques.